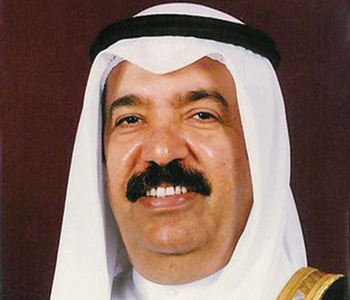 BAHRAIN-BASED the Gulf Petrochemical Industries Company (GPIC) had achieved the highest daily productivity rate in 2014 and recorded an annual production of 1.6 million tonnes of ammonia, urea and methanol, which was 1.5 per cent higher than planned. Urea production reached 689,902 tonnes, taking the total production to 10 million tonnes since start of operations in 1998. Methanol production also reached 452,751 tonnes. Adviser to His Royal Highness the Prime Minister on Oil and Industrial Affairs and GPIC chairman Sheikh Isa bin Ali Al Khalifa hailed the company’s outstanding achievements and congratulated the executive management and all employees. He said the executive management and all employees have been able to successfully meet all challenges and helped the company achieve all its goals in the rapidly changing and very competitive global markets for petrochemicals and fertilisers. Sheikh Isa also praised the employees’ team spirit, the reliability of the company’s operations and the optimum use of its administrative systems. 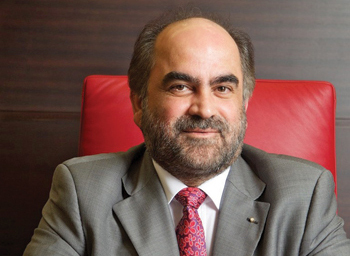 GPIC president Dr Abdulrahman Jawahery says the company has achieved distinction in all its departments, be it in production and export, safety at the workplace and environment management systems. It has also succeeded in achieving sustainable development in its business activities and community and social responsibilities. The president says GPIC plans a precautionary maintenance every 10 years and this contributes to significantly improved production levels. This also enables the company management to identify the needs of factories and ensure they work continuously and without any interruption. Dr Jawahery says GPIC had exported a total of 1.23 million tonnes of ammonia, urea and methanol, an increase of 1.8 per cent over what was planned for 2014. This, he says, was also the highest amount exported during a year, breaking the previous record of 1.22 million tonnes in 2009. Also in 2014, the GPIC exported 459,438 tonnes of methanol, breaking the previous record of 1991, when 444,554 tonnes were exported. The company has also exported a total of 439,994 tonnes to the US, once again the largest amount exported since the start of production, surpassing the previous achievement in 2012 of 379,482 tonnes. All this, he says, has been achieved smoothly and without hindrance and in accordance with the marketing plan and contractual obligations. He says a total of 66 vessels carrying 704,270 tonnes of methanol, 459,438 tonnes of urea and 70, 228 tonnes of ammonia left Bahrain’s shores. Dr Jawahery says as part of on-going development, the company planned to review administrative systems throughout the year to ensure their effectiveness and safety. He says all this had been made possible due to the support of the company Board of Directors and the management and under the overall guidance of the leadership of Bahrain. He also thanked the Saudi Basic Industries Company (Sabic) and the Petrochemical Industries Company of Kuwait, the GPIC’s partners, for their support and professional approach. Dr Jawahery says among the notable achievements of 2014 were the company reaching nearly 4,634 work days without a lost time accident, which is equivalent to 18.7 million hours. This, he says, was a major challenge and made possible only because of the workers’ diligence and hard work. He says workers are considered the backbone of sustainable development in the company’s current activities and its business or the direction it takes in the future. He says GPIC has also recently achieved recognition from the British Safety Council for excellence in safety in addition to the award for health and safety in the petrochemical sector awarded by the British Royal Society for the Prevention of Accidents (RoSPA) and several other organisations. GPIC has taken upon itself the task of developing and refining skills for developing human resources and had established a well laid out labour dynamics to contribute its expertise to development in Bahrain. He says his being nominated Arab Union of Fertilisers Social responsibility Ambassador cannot be considered a personal achievement but the icing on the cake for the company’s overall achievements. He says the several awards the GPIC has won for outstanding training and development programmes, including those from the Ministry of Labour, characterised the GPIC’s endeavour to create an effective human resources and work for the advancement of this company and preserving its gains. Dr Jawahery spoke about establishing the principle of equal opportunities for workers to ensure justice, and to create competition between them so that they are motivated to highlight their abilities and increase productivity. He mentioned the Bahraini Women’s Prize the company had recently been awarded by Her Royal Highness Princess Sabeeka bint Ibrahim Al Khalifa, Supreme Council for Women Chairperson and wife of His Majesty King Hamad and says this was the result of the company providing equal opportunities to every employee at the GPIC. Meanwhile, Shaikh Isa congratulated the company president for the GPIC winning the Women Empowerment Award for the second time. Princess Sabeeka bint Ibrahim Al Khalifa instituted the award to encourage and enable Bahraini women to take up challenging roles in society. Sheikh Isa praised the initiatives of Princess Sabeeka saying these had supported and simulated policies and programmes to empower women and put them in important decision-making positions in the private and public sector. He says the role of the GPIC management under the guidance of the company’s Board of Directors has also been inspired by that initiative, which contributes to enhancing the status of working Bahraini women. Sheikh Isa thanked Her Royal Highness to give the award to the GPIC for a second time for being the best among ministries, government institutions and private sector companies for working to empower Bahraini women working. He praised the high level of cooperation and coordination between the company and the Supreme Council for Women and says the GPIC was in full agreement with its goals by providing support for the council’s programmes and activities for further development of Bahraini women. Dr Jawahery expressed happiness at the award and says it was the result of the wise policies of the Board of Directors, chaired by Sheikh Isa. He says this would put Bahraini women at the forefront in the company and help in their work to achieve the highest positions. He says the award comes as a result of the faith and trust of Her Royal Highness in the company and its commitment to have a non-discriminatory policy to empower Bahraini women. petrochemicals and fertilizers and to overcome all obstacles that it might face. The GPIC, founded in 1979, is looking to the future as being distinctive in the production and global export of petrochemical products of high quality, and to maintain the unique position. It has been directing efforts and investment in its development and modernisation as well as enhancing its management and control systems. Sheikh Isa also congratulated Dr Jawahery, members of the Executive Management and its Board of Directors for the GPIC having won the Arabia Corporate Social Responsibly Award. During a meeting with Dr Jawahery, the Management and the Board, Sheikh Isa says the award comes in recognition of the company’s outstanding efforts in the service of society and the implementation of initiatives related to the various areas of social responsibility. He says the GPIC has spared no efforts in working sincerely and with dedication to maintain the excellence of the company in various stages and its leadership at all levels. He points out that the company had today become well known as an edifice of excellence in the industrial sector all over the world. The chairman says the company is very serious about its role and responsibilities towards others where everyone works hand in hand and in a spirit of teamwork to abide by its principles. He says the winning of the award comes as confirmation of the safety of its approach, and the accuracy of its strategic vision in the field of community service. Dr Jawahery spoke about the importance of corporate social responsibility and says it contributes to stimulate job creation and reduce increasing unemployment rates. He says the GPIC attaches great importance to staff training programmes in all disciplines of national industrial strategy according to principles of social responsibility and sustainability. He adds the company also works to encourage its members to participate in activities that support all sections of society. Dr Jawahery had received the Award on the company’s behalf during the annual celebration organised by the Arab Network of Social Responsibility in Dubai, UAE at the Arab League. The award was launched in 2008 under the aegis of the United Nations charter and commends the best in the field of corporate social responsibility in the region. It has since received a lot of support from all sectors and organisations the world over. The award, which supports the United Nations Global Compact programme, received more than 735 nominations from 13 Arab countries this year. The celebration was held in the presence of the pioneers of social responsibility institutions in the Arab world and beyond. Representatives of corporate social responsibility, as well as representatives from several countries interested in social responsibility took part. The GPIC sent a high-level delegation at the event as well. Meanwhile, Sheikh Isa has applauded the company’s board for GPIC having won the Saudi Arabian Award for Environmental Management. During a board meeting, the chairman praised the level of excellence in all areas and noted in particular the company’s efforts to support and care for sustainability issues, which had enabled the company to win the prestigious award. He praised the commitment of the management and their determination to implement the Board’s strategies and policies. He also paid tribute to the development of human resources and says the company employees were responsible for its success and its great reputation at home and abroad. The Board of Directors said the award comes as confirmation of the professional approach of the company and the accuracy of its strategic vision, its implementation of sustainability issues, care of the environment and looking after its employees. They expressed satisfaction at the company’s performance in the field of environmental protection and said their development of plans and programmes, with an emphasis on the environment and sustainable development had encouraged all its employees to do their best. In a statement, Dr Jawahery says the company was very proud to have received the prestigious award, which re-enforced the its standing as an Arab company of repute concerned with the protection of the environment. He says this issue should be everyone’s obligation at all times. Dr Jawahery praised the diligence of GPIC employees in observing principles of conservation of the environment, both in the industrial complex and in the community as a whole, where the company plays a leading role in carrying out its responsibility towards environmental protection. The Award was given to the GPIC during a session of the Arab Organization for Development Administration in Morocco’s capital, Rabat. The award is instituted by the Saudi Arabian Institute for Environmental Management and was launched in 2002. Funded by the Presidency of Meteorology and Environment (PME), Saudi Arabia, it is given every two years in the presence of Arab Environment Ministers. The company has already won many regional and global awards in the field of safety, health and environmental, and is considered an active member of the Global Compact Initiative of the United Nations.